You bought your BMW for a reason. It performs like no other vehicle on the market, and you can keep it performing at its peak by giving it the proper care. The general recommendation is to change your oil every 3 months or 3,000 miles. This ensures that you always have enough good, clean oil. Driving with little or no oil can cause serious damage to your vehicle, and dirty oil can prevent your engine from performing at its full capacity. Of course, if you have any questions, you can always consult a certified BMW dealer, and drivers in Kendall, FL don’t have to go far for answers. 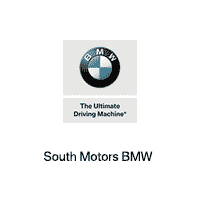 Just visit or call South Motors BMW, serving Pinecrest, Coral Springs and Perrine, FL. While routinely changing your oil is a failsafe practice, it’s a great idea to monitor your oil as well. Check your dipstick every now and then to make sure your oil is between the minimum and maximum fill lines. While doing this, you can also make sure your oil is clean. New, clean oil should be smooth and somewhat translucent, while dirty oil tends to turn black and clumpy. Many newer BMW models have technology that allows you to check your vehicle’s vitals from a digital cluster on the dashboard, making it even easier to keep your car or SUV in top shape. If you’d rather have a professional do the work, South Motors BMW is just a phone call away. Visit today, so you can get the most out of your BMW. Every car is different and many of them tend to demand specialized care. Make and model aren’t the only aspects to consider either. The type of vehicle, type of engine, and even the age of your car all come into consideration. This is especially important when it comes to oil change service. Many late-model BMW vehicles require full synthetic oil, while your classic BMW models might benefit from high-mileage treatment. BMW vehicles have always been on the cutting-edge of automotive engineering and if you give it the proper maintenance, you’ll be able to enjoy it for a very long time. To ensure the best possible care for your BMW, Fort Lauderdale drivers can schedule a visit at South Motors BMW. BMW vehicles are considered the Ultimate Driving Machine® for a reason. They’re engineered to deliver an unrivaled performance you won’t find anywhere else and that’s why you shouldn’t bring it anywhere else except a certified BMW dealer. Scheduling service at the place your vehicle is sold is the best way to ensure your technician is qualified to work on your car. The South Motors BMW service center is not only employed by certified BMW technicians, it also offers a state-of-the-art facility developed specifically for your car, ensuring the job is always done right. It’s not just a great home for BMW oil changes either. It’s fully equipped to handle everything from routine maintenance to major auto repairs. They even offer a comprehensive parts department to complete the shopping experience. Whether you’re driving a classic BMW 3 Series or a 2019 M Model, Fort Lauderdale BMW drivers can always receive expert oil change service at South Motors BMW. Call or visit today, serving Boca Raton, Coral Springs and Delray Beach, FL.